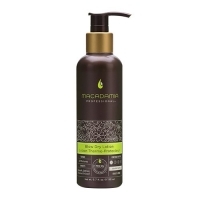 Macadamia Natural Oil Professional Blow Dry Lotion is an indulgent styling aid which protects against heat damage whilst smoothing and moisturising the hair. 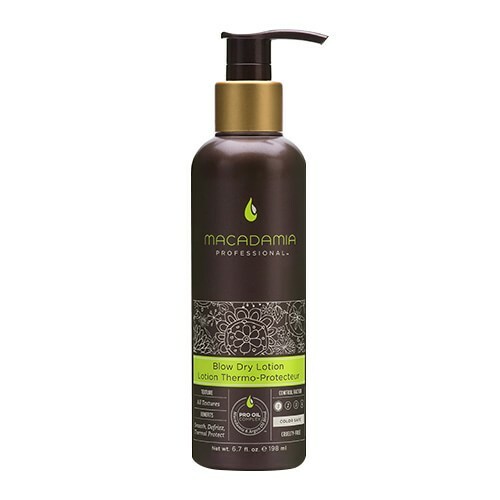 Rich in Omega Fatty Acids and Antioxidants, Professional Blow Dry Lotion provides all hair types with weightless moisture and essential protection against environmental aggressors with a blend of Macadamia and Pistachio Oil whilst Argan Oil repairs and strengthens the hair. Sure to become a staple in your daily haircare ritual, Professional Blow Dry Lotion strengthens and fortifies the hair shaft with Coconut Oil whilst Olive Oil and Jojoba Oil help to maintain healthy moisture levels, colour vibrancy and a healthy shine. Hydrolysed Rice Protein works synergistically with Keratin Amino Acids to provide lightweight moisturisation and healing benefits and nourish the hair without any greasy residue. Sure to be a Beauty Bay best seller, Professional BlowDry Lotion eradicates frizz and resists humidity and thermal styling damage to leave the hair looking smooth, sleek and shiny.